We as Muslims all enter marriage not knowing what is in store for us. We just trust Allah and follow his guidance on choosing a partner for ourselves and then marrying that partner and living with them for the rest of their lives. Many times we feel elation in the relationship and many times we feel despair. But should that worry us? Certainly not! As Muslims we are bound to believe that this life is not all good and not all bad. Same goes with our relationships. Allah has asked us in the Quran to live with our spouses in “love and mercy”. However, he has also asked us to live with patience, compromise and willingness to give up. If a time comes in our Muslim marriage that we may feel that it is not working out, or that it is getting difficult, we must speak up. But who do we speak to? Our family, ofcourse. But who is the most important Being we should speak to, to let our troubles go away and let us see a true picture. Allah. We should pour out our thoughts, misgivings, our happiness, our gratefulness in our marriages towards Allah, the One and Only author of marriage. 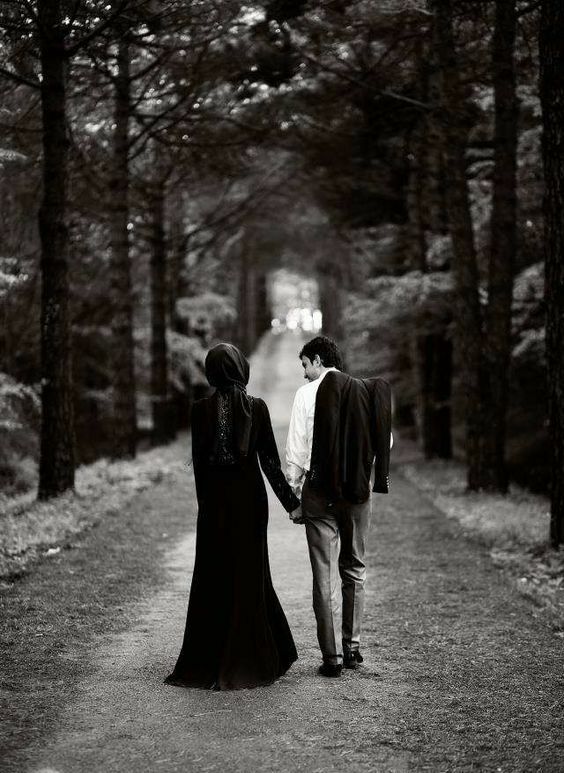 What does it mean for Allah to be the author of our Muslim marriages? It means that Allah is the only one who has not only created this relationship but has also given us the guidance and intelligence to led it according to His commandments. He has given us the power to strengthen our marriage by telling him what is in our heart and getting His guidance and blessing in return. When we pour out our soul to Allah about our marriages and tell Him our shortcomings and how we are happy or hurt in our relationship, Allah automatically opens our doors towards making the relationship healthier and happier. We must not listen to the advice of others, rather we must make our own decisions with careful pray and closeness to Allah. Because there is no power on earth better than to listen to your stories, to help you out and to lead you to the right path. He is the Maker of marriage, He is the only One who can nourish it and we must give Him all the opportunities to do so. The power of speech directed towards Allah is supreme and we must make full use of it.